Has the future arrived? 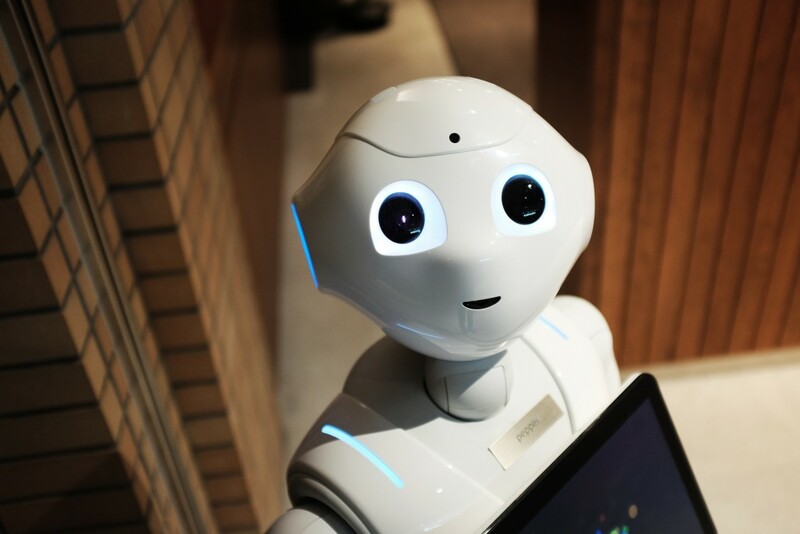 If you classify the future as robots beginning to take over our repetitive business processes, than that answer is a resounding yes, thanks to Robotic Process Automation (RPA). Automation has always been at the core of what we’re doing at 3Qi Labs and, as a result, Robotic Process Automation (RPA) has recently become an area of focus for us. Robotic Process Automation delivers direct profitability while improving accuracy across organizations and industries. Designed to perform on a vast range of repetitive tasks, software robots interpret, trigger responses and communicate with other systems just like humans do. Only substantially better: a robot never sleeps, makes zero mistakes and costs a lot less than an employee. As with any type of technological automation, RPA lets you turn your manual processes into scalable and efficient systems, easily deployable. RPA will eliminate many of the tedious, manual business processes such as data entry, IT support, and various other tasks. Lets take a closer look at what kind of changes RPA is going to bring into our lives over the not-too-distant future. As RPA usage expands (about 20-30% each quarter, according to Gartner) we’re guaranteed to see an equivalent growth of uses cases. Based on current RPA capabilities, the best types of processes to target are those that are clearly defined, repetitive, leave room for human error, and incorporate more than one type of system/application. Payroll for HR is a great example. 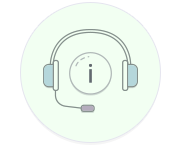 Adding benefits to an employee contract, managing and changing holiday hours according to usage, filling out basic missing information for any type of form an employee would need to fill out (based on preexisting data). Again, the point here is to not eliminate the job of somebody doing payroll – instead, it is freeing up resources to address other issues better suited to humans. In fact, a couple of RPA’s greatest benefits are often overlooked: its ease of deployment and the speed and agility it confers on the enterprise. But given the inevitable disruption caused by RPA, business leaders should focus on a few key implementation principles: automate as much as possible, focus on frontend processes, maximize productivity, and aim for 100% audibility. RPA can help companies organize themselves for the future. It is a foundation for machine learning, artificial intelligence and a more autonomic enterprise. Ease of deployment is a major appeal of RPA. It cuts out entirely the hiring process for certain jobs – resources spent searching, interviewing and training people. At the same time, a major concern with RPA is job displacement – the classic concern of “robots taking over”. However, RPA is really just paving the way for a shift of emphasis to higher value job responsibilities. As an example of RPA impact, lets take look at the implications for offshore work in the context of an RPA future. Companies will need to decide to what degree RPA will disrupt their offshore processes; having the autonomy to directly manage and parameterize what was once offshore is an appealing option for many industries. Less time spent clarifying or defining expectations, triaging issues (that might have been lost in translation), and cost reduction across the board all summate to great reasons to try RPA. Offshore service providers will be put to a real test as the cost advantage of utilizing RPA is realized. RPA, especially when coupled with AI and Machine learning, will be able to support these tasks at a fraction of the cost. Reports are already indicating a cost savings of 47% thanks to RPA – making it a real threat for some Offshore Service providers with armies of “manual” IT/BPO workers. You don’t need to know how to code to automate something using RPA. You simply need an understanding of logical processes and workflows, and the ability to design test cases suited to your testing needs. 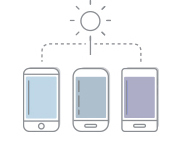 Due to this, we see a major carry over in skillset from QA/Test Automation engineers to RPA. Between defining the testing/automation requirements & creating your core test flows, the application of logic to how you are organizing your test cases will parallel how an employee is creating their RPA processes. RPA tools provide a graphical interface that allow for simple drag and drop setup that allows users to model complex business processes. 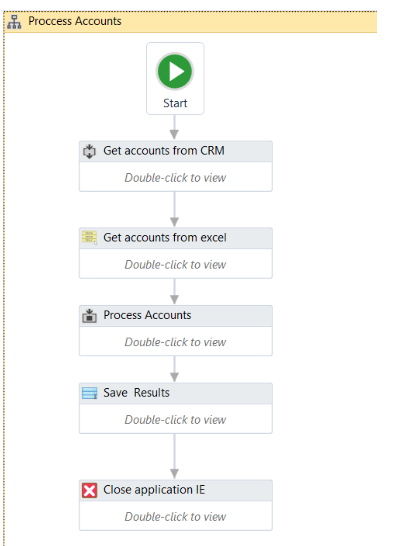 In the above example, provided by UIPath, we can see a flow for processing CRM accounts. 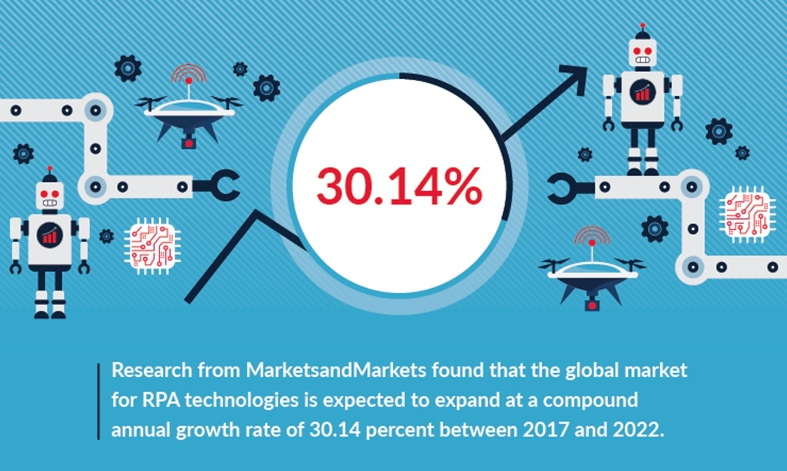 RPA market size is already Projected To Reach $8.75 Billion By 2024, with a CAGR of over 60%. Small and medium business are expected to make up a large portion of this – who (in part to RPA’s simple learning curve) can feasibly implement RPA to reduce operational costs on what is already a limited budge. In many ways, RPA stands to disrupt. However, that word may not be the correct way to think about it. Instead, RPA is looking to augment. Not eliminate jobs and industries but change them, and change them in a way that allows the shift of focus to be on higher value tasks and elimination of tedium that is can now be unnecessary. Now that you have an overview of what RPA is, look out for an upcoming post where we will be delving into some the technology behind it and how some popular RPA tools work to achieve their level of automation.